Our vision for a more efficient, accessible, competitive and compassionate Illinois is being realized. The State of Illinois Digital Transformation is playing a key role by delivering best-in-class innovation and technology which is fostering collaboration, empowering state agencies to provide better services to our residents and maximizing the value of taxpayer resources. DoIT’s mission is to empower the State of Illinois through high-value, customer-centric technology by delivering best-in-class innovation to client agencies fostering collaboration and empowering employees to provide better services to residents, businesses, and visitors. ​DoIT is here when you need us. When we say we're here to help, we mean it. When you need to reach us, one of our representatives will be there to answer. We're here to help develop a solution that is efficient, affordable and reliable. ​​DoIT Security & Compliance Solutions manages security policies and awareness, administers security tools and technology, and responds to computer security incidents. We are here to form a solid foundation for the ongoing development and improvement of our cybersecurity capabilities and effectuates that protection. A strong IT strategy relies not just on creating the plan, but also on proper implementation of it. DoIT's roadmap takes on the overall vision, mission, and objectives of the statewide information technology initiative for the 21st century. This site provides general cyber security and cyber threat information. 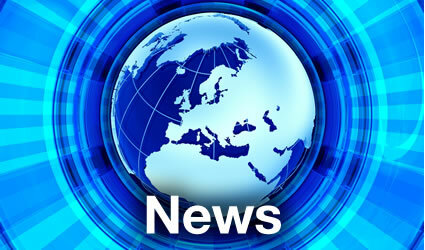 See videos, news articles and blogs regarding the work and advancments being done at DoIT. 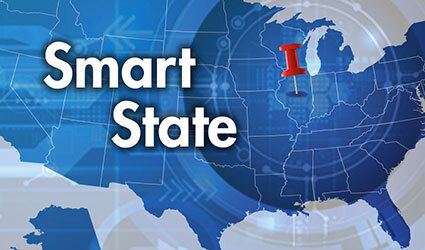 Learn the definition of a Smarter State, and how Illinois is working toward becoming one. Electronic Pay Stub System (ePASS) https://www2.illinois.gov/sites/doit/services/catalog/applications/Pages/epass.aspx Electronic Pay Stub System (ePASS) A secure web-based application for employees to view current and past pay stubs electronically. Public Key Infrastructure Cryptography https://www2.illinois.gov/sites/doit/services/catalog/security/Pages/pki.aspx Public Key Infrastructure Cryptography A digital certificate used to digitally sign a file, document or email. Central Time & Attendance System With eTime https://www2.illinois.gov/sites/doit/services/catalog/applications/Pages/ctas.aspx Central Time & Attendance System With eTime Employee timekeeping processing and management benefit system. Enterprise Email https://www2.illinois.gov/sites/doit/services/catalog/collaboration/Pages/enterprise-email.aspx Enterprise Email Platform for seamless inter-agency email collaboration. Enterprise Fax https://www2.illinois.gov/sites/doit/services/catalog/hosting/Pages/enterprise-fax.aspx Enterprise Fax Ability to send and/or receive fax documents via Outlook or Fax client. Radio Communications- STARCOM21 https://www2.illinois.gov/sites/doit/services/catalog/network/Pages/starcom21.aspx Radio Communications- STARCOM21 Two-way radio communication services. Illinois Wireless Information Network (IWIN) https://www2.illinois.gov/sites/doit/services/catalog/network/Pages/iwin.aspx Illinois Wireless Information Network (IWIN) IWIN provides a fast, reliable and secure wide area data network for Federal, State, County and local government wireless users. Central Payroll System (CPS) https://www2.illinois.gov/sites/doit/services/catalog/applications/Pages/central-payroll-system.aspx Central Payroll System (CPS) Common payroll processing and management system. For IT and Telecommunication service issues, please fill out and submit the online Report a Problem Form. If you have a specific question regarding a service or product, you can submit them here. Can be used by employees and partners to reset passwords for both Active Directory and RACF. Forefront Identity Manager can be used by employees to reset and unlock their Illinois Domain Active Directory Accounts from their desktop. The Public Accounts page allows you to create accounts and reset passwords.